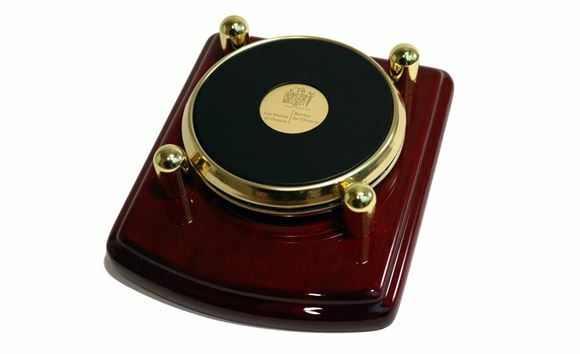 Two heavyweight brass and genuine leather coasters in a piano wood finish stand. Packaged in a velour pouch and gift presentation box. Not engravable. Note: All merchandise reflect the current name change to Law Society of Ontario.